Break free from self-doubt and embrace your full potential in Christ! Today’s culture can leave you feeling like you don’t measure up. And when you believe the enemy’s lies about your abilities and worth, it’s easy to let fear and doubt stop you from living out your full potential. 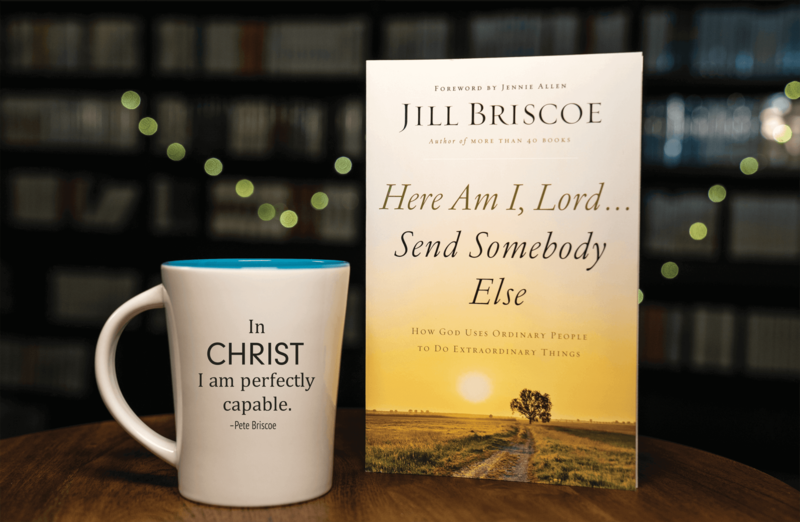 Jill Briscoe wants to help you break free from those feelings of inadequacy, so you can confidently step forward into all that God has for you. That’s why we’d like to send you her newly released book, Here Am I, Lord… Send Somebody Else. This empowering book is our way to say thanks for your gift to help others experience Life in Christ. It’s our hope that these resources remind you that Jesus is bigger than all your doubts and fears. Thank you for your faithful support!